One of the most looked forward to annual events in the entertainment calendar, the Sumathi Awards concluded amidst glitz and glamour at the Sugathadasa Indoor Stadium on October 24. First Lady Shiranthi Rajapaksa was the chief guest for the event which was graced by many noteworthy faces in the local celebrity scene. 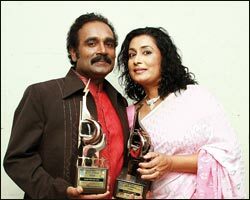 This year Jayantha Chandrasiri topped the list of award winners when he clinched the awards of Best Director and Best Tele drama for Sathara Denek Senpathiyo. 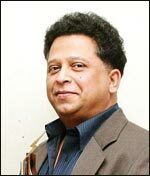 Sriyantha Mendis was named the Best Actor for Sadkunakaraya while Vasanthi Chathurani walked away with the award for Best Actress in the same teledrama. The cheerful Chandika Nanayakkara and petite Nehara Peries continued their winning streak by clinching the awards in the Most Popular category. Paba emerged as the most Popular Tele drama. 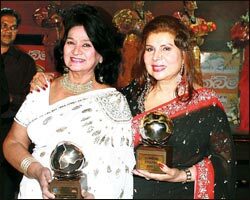 Clarice de Silva and Jeewarani Kurukulasuriya were handed the prestigious U.W. Sumathipala Lifetime Achievement Awards. Anuruddhika Padukkage, Avanthi Aponso, Sunil Costa, Niroshi Abeysinghe and Shirley P. Delankawela were presented Merit Awards.